The HH-A-2.5 range of probe heads feature a number of new innovations including a fully embedded controller, capacitive crash protection and the all new heavy duty kinematic joint. All of the probe heads in the range benefit from a completely redesigned drive system including a Hirth Gear for accurate positioning of the probe. The new design delivers the advantage of a high degree of indexable positions and very high rotational torque. The Probe Heads can either be mounted on the CMM with a shank or flange, alternatively the HH-AS8-2.5 can be mounted on any CMM with an 80mm ram. Sensors are mounted on the head through the TKJ or HDKJ adaptors and can be changed either manually without the need for requalification or automatically with a tool changer. The HH-A-T2.5 is capable of indexing in 2.5° increments and can achieve 12,240 unique positions. The head is fitted with a kinematic joint (TKJ) which can be connected to a Multiwire to give multi sensor support. 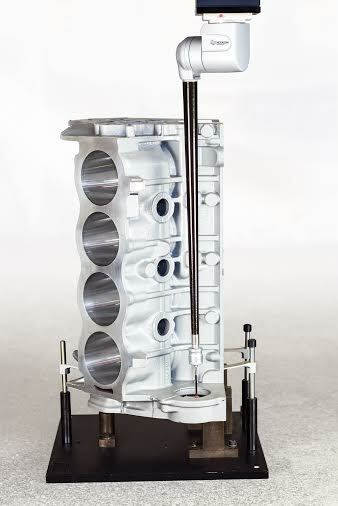 The TKJ carries extensions of up to 450mm. 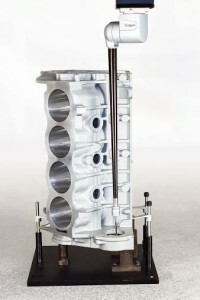 The HH-A-H2.5 is capable of indexing in 2.5° increments and can achieve 20,736 unique positions due to increased rotation of the A Axis (± 180°). 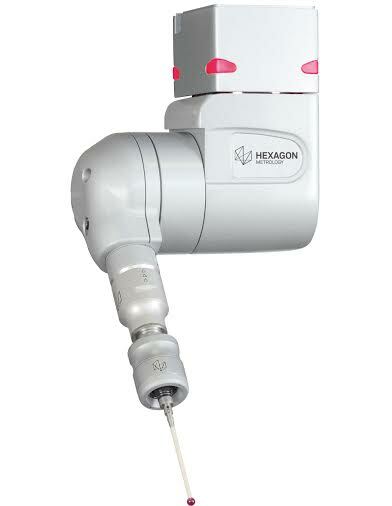 The head is fitted with the Heavy duty kinematic joint (HDKJ), which can be connected to a Multiwire to give full multi sensor support. The HDKJ carries extensions of up to 750mm. 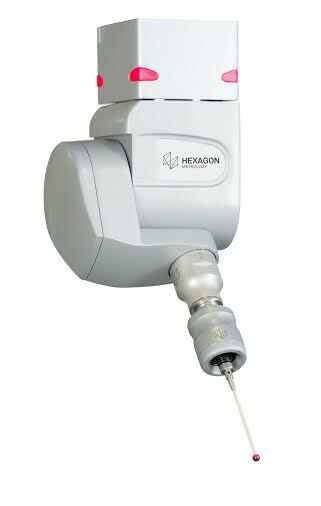 Laser scanners and scanning heads can be supported further from the axis of rotation than with conventional probe heads due to the combination of extreme rotational torque and the HDKJ adaptor.